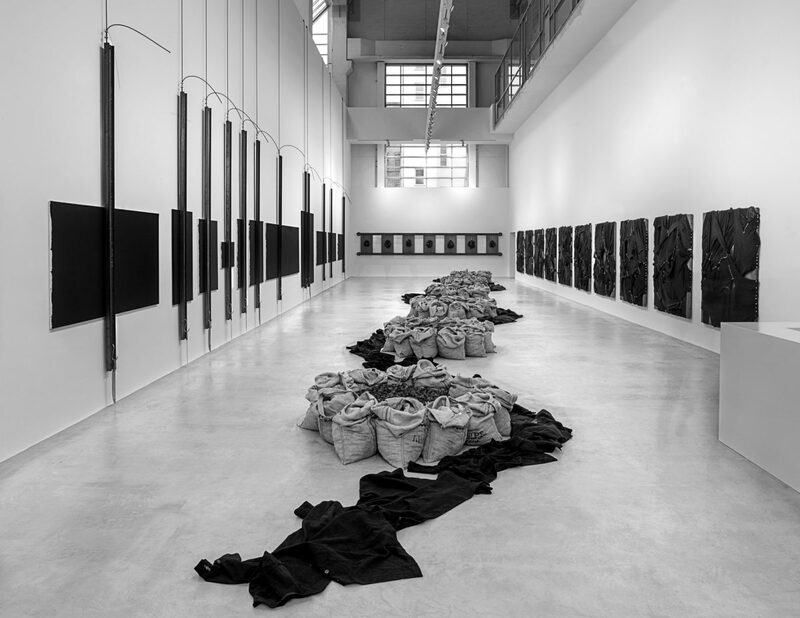 The Directors of Blain|Southern are delighted to present an exhibition of new and recent works by Jannis Kounellis. 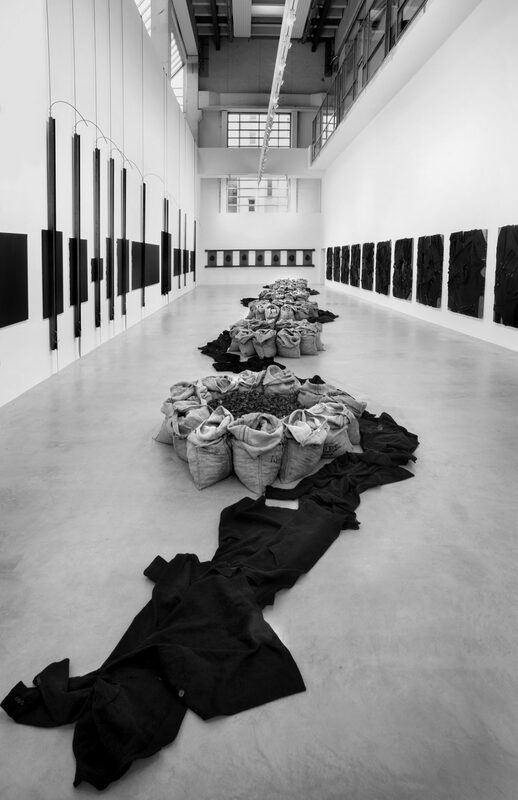 Renowned for his pivotal role in the development of the Arte Povera movement in the 1960s, over the last 50 years Kounellis has continued to redefine artistic practice through his original use of materials. 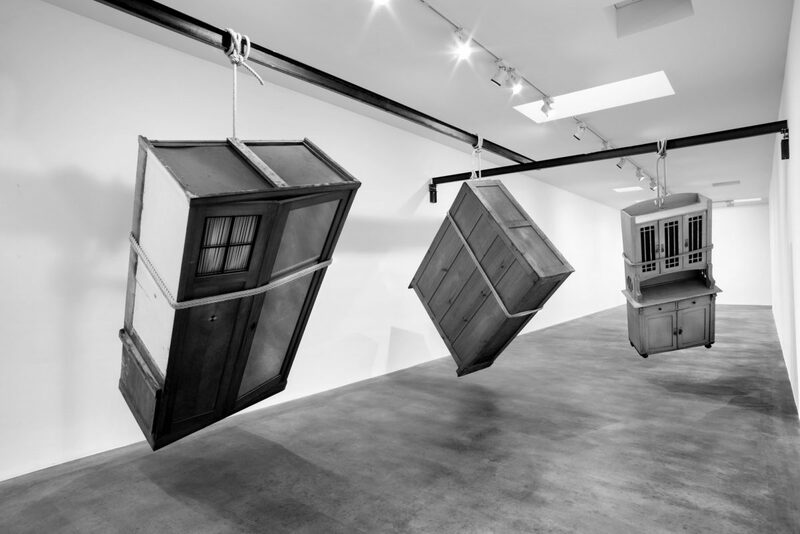 His works, which might be seen as a combination of painting, collage, installation, ‘environments’, performance and theatre, are made using everyday materials such as soil, coal, stones, hessian sacks, fire, live animals, bed frames and doorways, as well as objets trouvés. 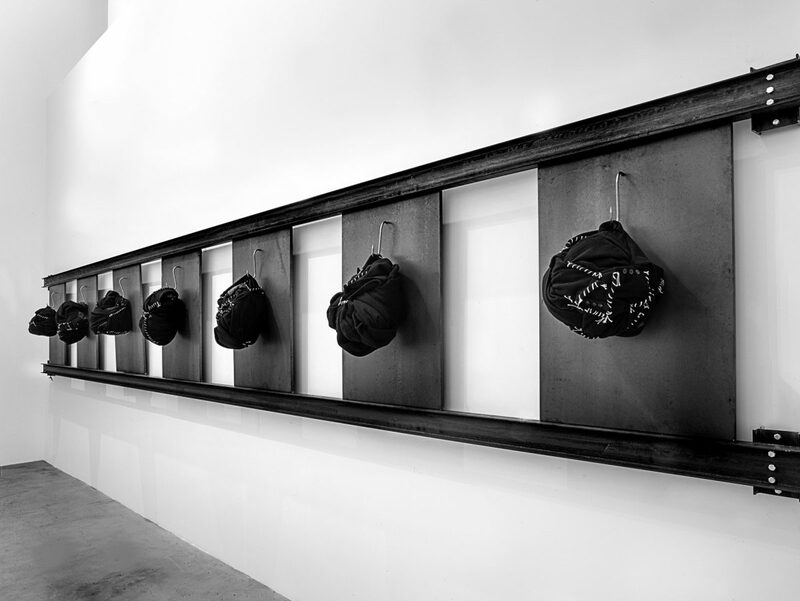 These are imbued with dramatic power, stimulating memory and a sense of history, as well as the reality of our present day experience, to express the underlying tensions within contemporary society, and the multiplicity and fragmentation of its language. 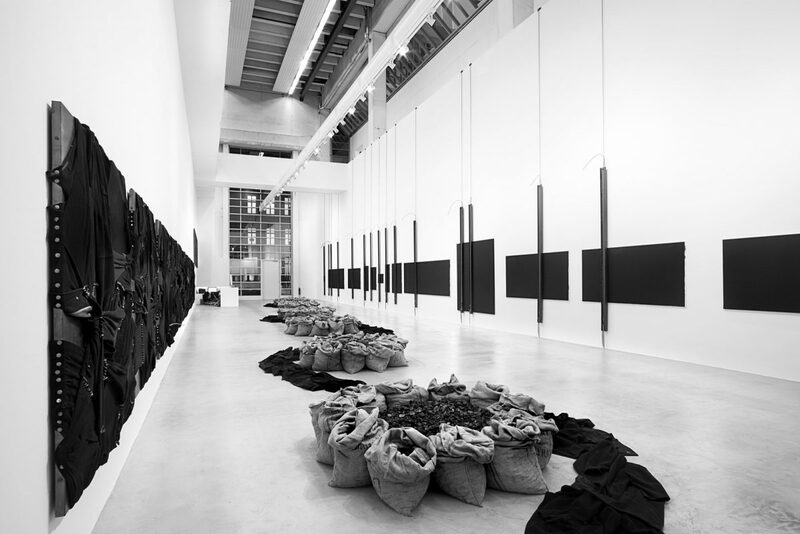 During the twenty first century, Kounellis has developed an increasingly architectural vocabulary, typified by the labyrinth he constructed in the main hall of Berlin’s Neue Nationalgalerie for his 2008 retrospective. Working in dialogue with the Mies van der Rohe designed building, the structure served as a complete environment in which to exhibit examples of his earlier works. 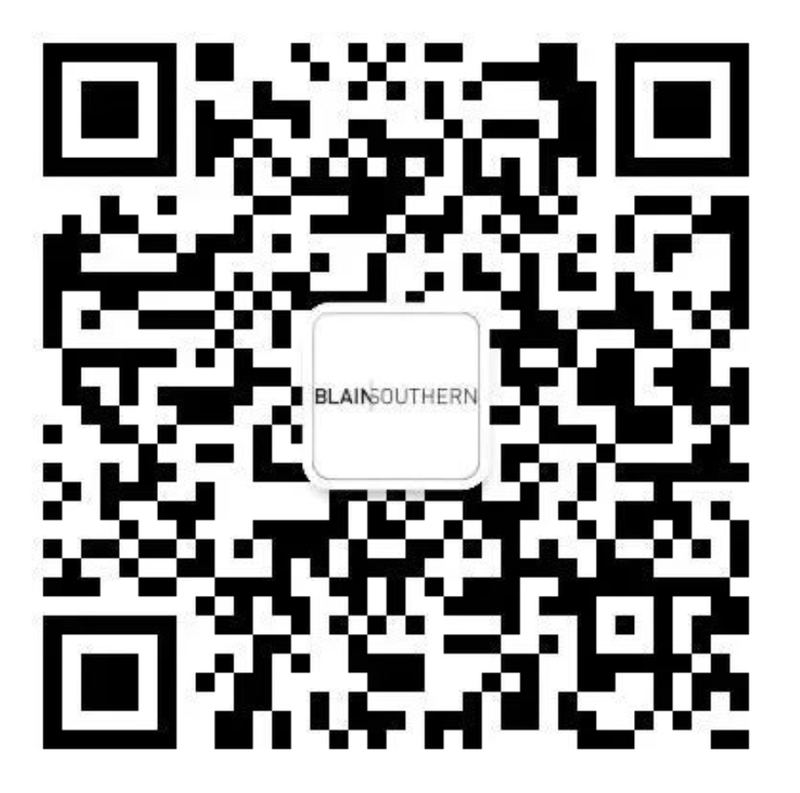 His exhibition at Blain|Southern has been created in a similar vein, with the sculptural installation responding to the gallery’s vast, post-industrial space. 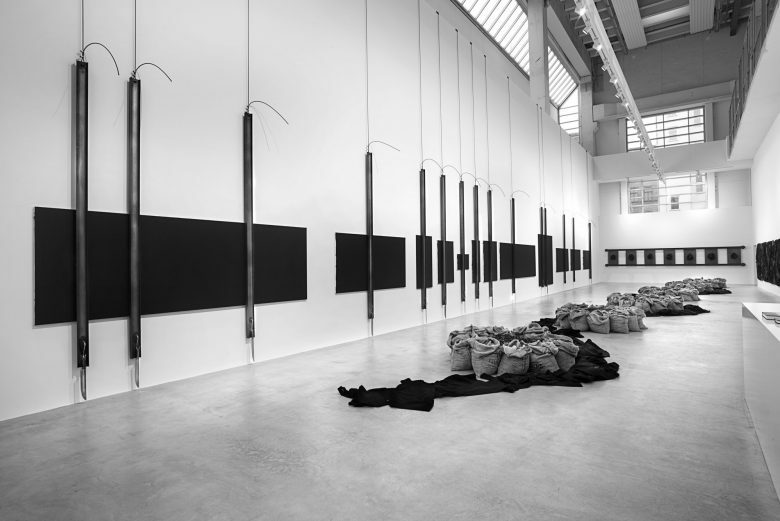 A large-scale musical pentagrama is evoked through the interplay of incongruous materials including black canvases, steel cables, iron bars and knives. 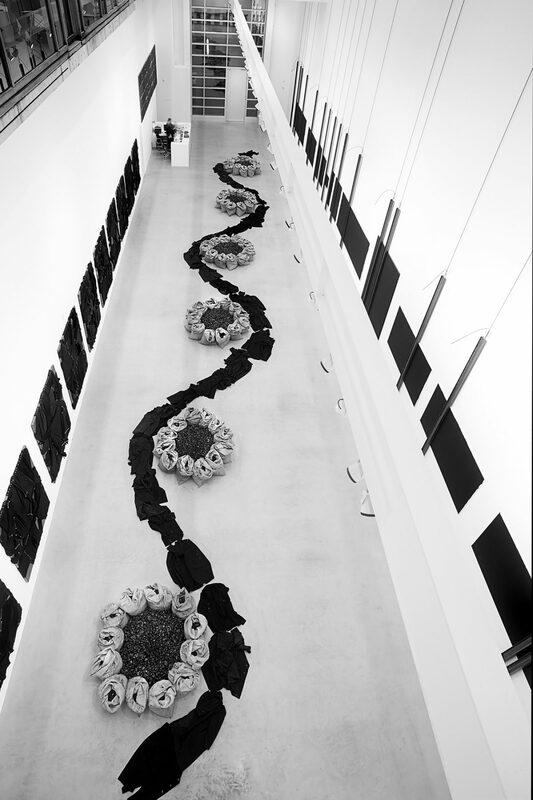 The geometric composition is layered in space, transforming the immediate environment into a series of repeated and rhythmical sculptural notations. 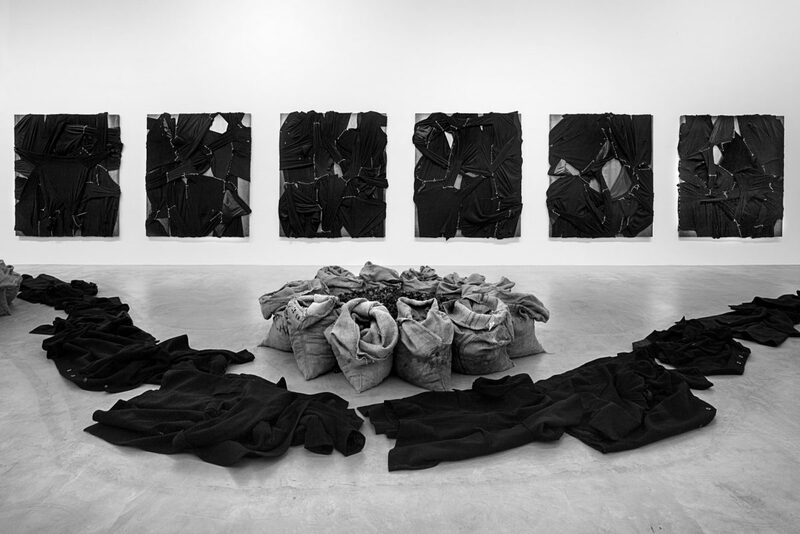 The canvases, of varying size, directly relate to the precise dimensions of historical works which have influenced Kounellis, by artists such as Picasso, Courbet, Caravaggio and Van Gogh. The development of Western Art is therefore referenced, reverberating with past histories, times and cultures to fuse memory, space and place. 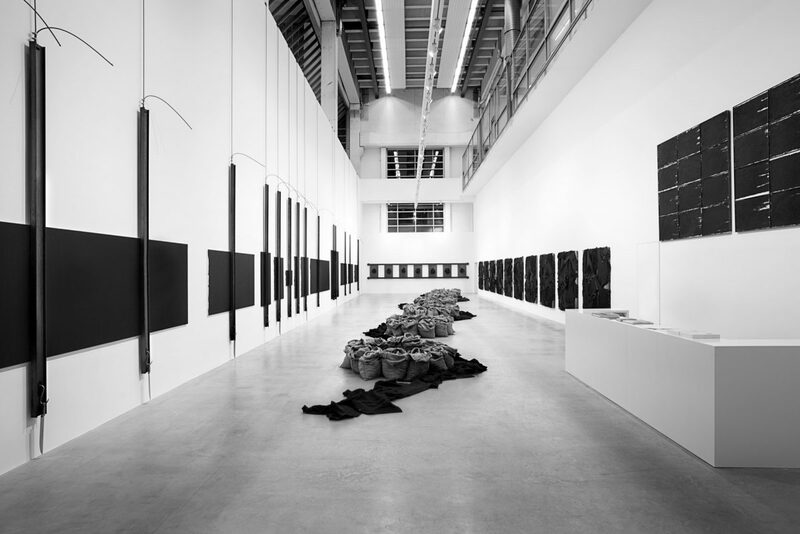 The site-specificity of this piece exists in dialogue with thirteen wall-based works which were exhibited as part of an installation at the Kunstmuseum Magdeburg, 2012, and comprise iron plates wrapped in the contrastingly soft and warm material of black coats, which are haphazardly stitched together using white string.